I tend to be a bit picky when it comes to toners, but there’s something to be said about a simple, no-fuss spray that refreshes you from head to toe. Hollow & Ridge’s Lavender Face + Body Toner is an ideal mist to pack in your spring break bag so you have it on-hand for instant cooling, refreshing and soothing, regardless of whether your skin’s been assaulted by the sun on the beach (jealous of beach-goers!) or from sun atop the slopes (I’ll pass on snow, thanks). 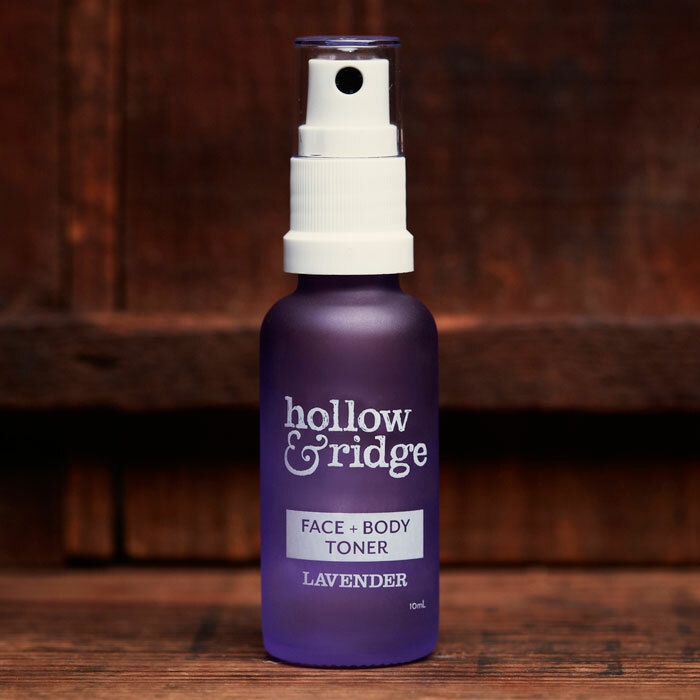 Hollow & Ridge’s Lavender Face + Body Toner is another one of those simple and sweet beauty products that boasts just two ingredients: lavender oil and lavender hydrosol. For a multipurpose face and body refresher, it’s just fine to have on-hand, but it’s not one that I rely on for anything major besides hydration and some soothing effects thanks to the lavender. This lavender, however, is a bit special. Hollow & Ridge founder Issa Dixon‘s lavender oil is distilled in micro batches to ensure the highest quality of oil is used in each blend. The delivery of Hollow & Ridge’s Lavender Face + Body Toner is perfect for those cooling-off moments you may need: The spray is slightly targeted, but not abrupt, which makes it nice for splashing onto your body. For the face, it’s a bit too targeted for me; it’s not something you want to spray mid-day as a makeup refresher as you may mess up your makeup. All of these little details aside, if you’re in the market for a nice lavender hydrosol from an indie brand, you should check out Hollow & Ridge. At $14 for 15 ml, it’s a bit pricey, but it’s not out of reach for something to try. And if you want something a bit more feminine, there’s also a lavender and rose blend! What do you look for in a face + body toner? Have you tried anything from Hollow & Ridge? Tell me in the comments section!